Over the weekend I was given such a fun and exciting opportunity to work with LOFT! I hosted a shopping event and got to bring out all my Friends, Family, and Supporters. While hosting this event I was able to create my own clothing rack of outfits that I loved! They had such great deals and perks. My audience that attended got an extremely great deal as well. They received $20 off $100 or more plus an additional 40 percent off! Talk about a great deal! From jewelry to cute hair accessories they had the cutest stuff. This is was a perfect time to shop and pick up some spring basics! That’s what I love shopping at Loft because they have great BASICS! and everything is very versatile. 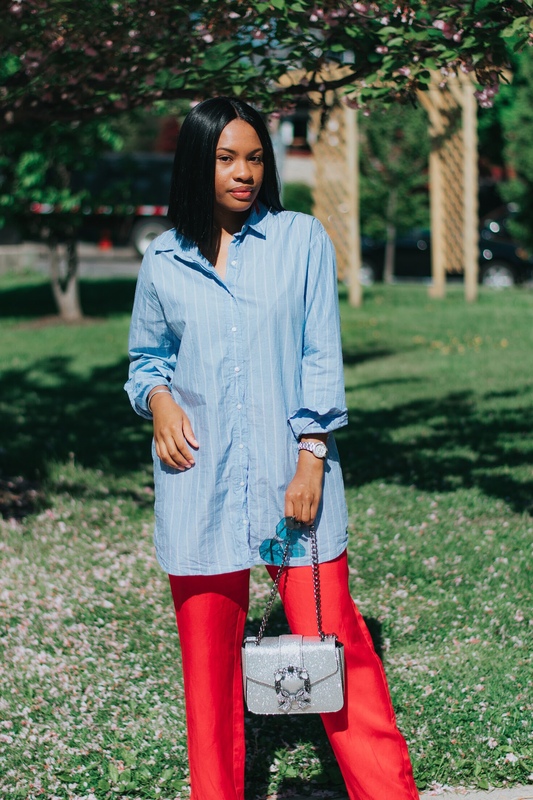 I love buying pieces that can be versatile and used all year round! When working with loft and creating this event it was very important for me to make sure the message sent through this was to be comfortable in your own body and to cater to all body types. The loft provides clothing for all sizes. Petite, Plus size, Tall, and average. Thank you again, Loft, for this experience and thanks to everyone who attended the event. What a great time and I’m glad I can come on here and share with you all! If your interested in seeing the pieces I bought go check out my new video Posted on my YouTube channel now and click down below!